"590.-New Iron R.R. 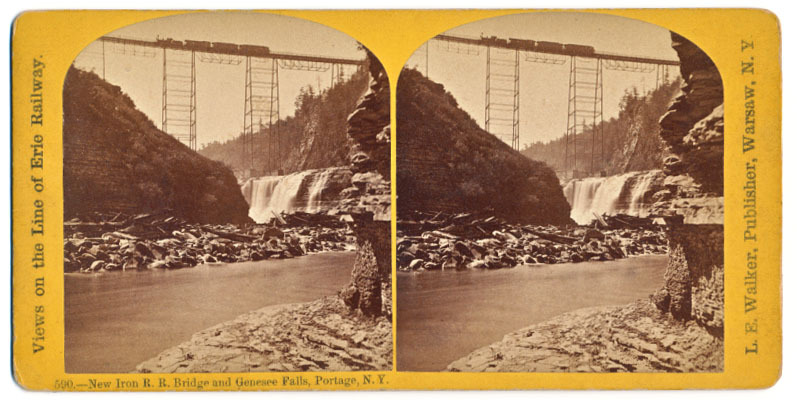 Bridge and Genesee Falls, Portage, N.Y."
"Views on the Line of Erie Railway ." 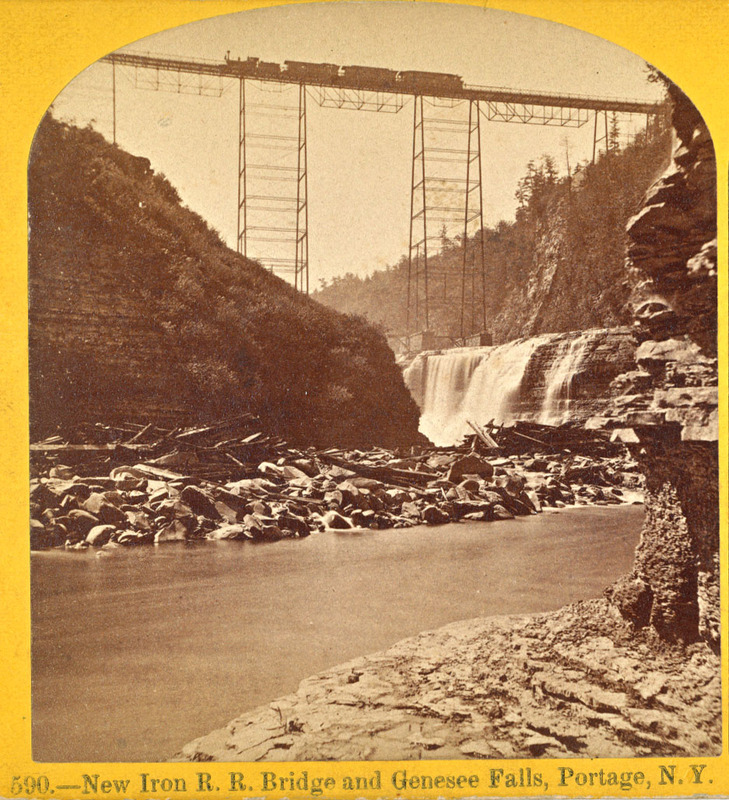 This view was probably taken in the late summer of 1875 after the Iron Bridge was completed to replace the famous Portage Wooden Bridge that had burned the previous May. If you look closely, you can see some debris from the fire sitting on the rocks in the River. See the enlarged image below for more detail.